It's Jess here today with a brand new project to share! I used the Love Collage Die to create not one, but two new cards! 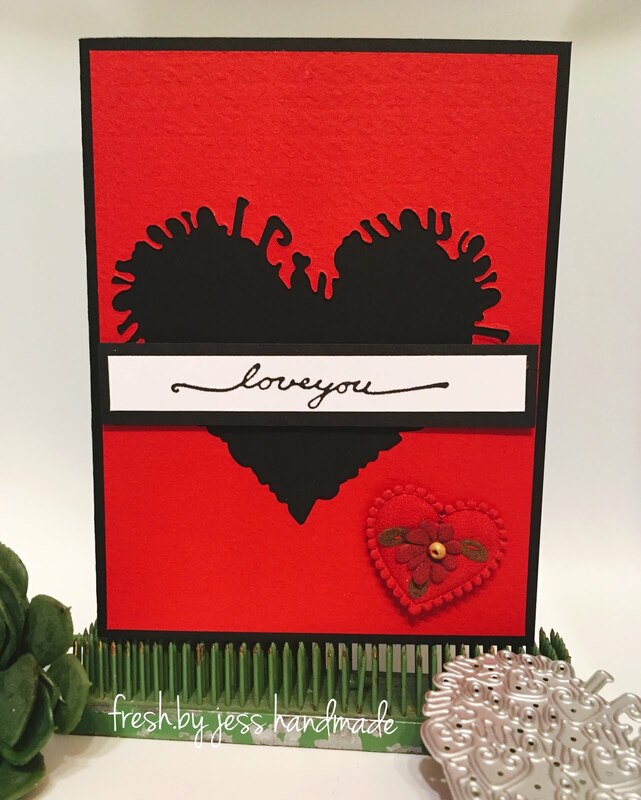 As you can see, I used both the die cut portion AND the negative space to create two lovely Valentine cards! I love the mini scrabble tile accents! I'll be sad when I work through my stash as I don't recall where I picked them up! Anyhow, I hope these cards inspire you to get your Valentine cards made.